Vista cottage offers spacious and comfortable accommodation for six people with a very long private garden which abuts the salt water marshes of Brancaster Staithe and the North Sea. Within the garden is a patio area equipped with garden furniture and a gas barbeque. Carpenter's cottage offers comfortable accommodation for two people and is set overlooking gardens that abut the salt water marshes of Brancaster Staithe and the North Sea. Two traditional coastal cottages in Brancaster Staithe, restored and refurbished in 1997 and 1998, maintaining many original features. Offering well equipped accommodation with outstanding views of the salt water marshes. Within walking distance of local amenities. Ideally situated for superb beaches, sailing, windsurfing, bird watching and golf. With access to join the Norfolk Coastal path. The cottages are ideally situated, in the friendly village of Brancaster Staithe, for your stay on the North Norfolk coast, whether it is for a long weekend or your annual holiday. Located within 400 yards of the village shop, public telephone, post office, petrol station, public house (with award winning restaurant) and a fresh fish shop. The cottages are situated in Brancaster Staithe on the seaward side of the road between The White Horse public house and Burnham Deepdale Church. 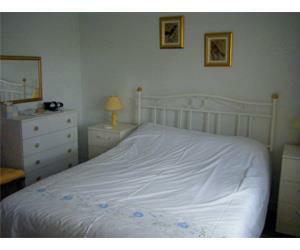 Within short walking distance to pubs, restaurants, shops and Post office. Children welcome from any age. Situated on the sea side of the A149 coast road in the village of Brancaster Staithe.